Throughout the year many observations and celebrations are conducted taking various activities of students where all students are asked to take part. Sri Ravindranath D. Savdeykar,Principal,VKV Dibrugarh was awarded with Nirman Kritogyata Puraskar for his remarkable service to the People of Majuli rendered during his tenure in the region as the Principal Of Vivekananda Kendra Vidyalaya Majuli . The award was given by Nirman Charitable Trust In Mumbai on 2nd March 2013 in a ceremonical function. Ravindra Nath Savdekar was the principal of Vivekananda Kendra Vidyalaya,Majuli since its establishment (2002) to 2011. He was a gentle person from Nashik, Maharastra but had sacrificed his life for the students of V.K.V.s as a teacher. Though he is a science teacher, he has the knowledge of every subject and can make student better understand in that particular subject. Most of the people know him as Ravi Sir. His behavior was very polite and gentle. He used to stay with a smiling face, for which he could able to attract the students as well as the other peoples towards his ideas. He is a very cultural person, When he was in Majuli (the place of satriya culture ) he learnt all the cultural programs of majuli and he was mainly interested to know about its heritage & origin . He used to involve every student in every work so that they could able to learn it and become independent. One of his characters liked & known by all was that he used to think several topics at a time. He had a planning of all the works for which he did not failed in any aspects and also finished it within a short period of time. He used to give the moral values to the students through his speeches. He also encourages the students to go ahead in life by awarding or by telling his thoughts to them. He was a person of different characters. He talk differently with different persons, it was because he knew every person by their work and behavior.His wife Smt. Purva Ravi Savdekar ,who was also a teacher of this school .She was a very good teacher of that time , which is appreciated by most of the students today also. Ravi sir was a follower of Swami Vivekananda and he had many character of Swamiji in himself. If the question asked to students, parents and other well wishers of Majuli that how was Ravi sir? Then the answer must come like this that Earlier we have not met any other active principal like him. But time was going on, after he had stayed here for nine years he was transferred to VKV Dibrugarh in 2011. Though the people of majuli tried to stop him and stay here to bless their childs , it was too late .When he was in majuli, he did a lot of works and sacrifices to this school . He became a popular person in majuli only because of his outstanding behavior and attitude. 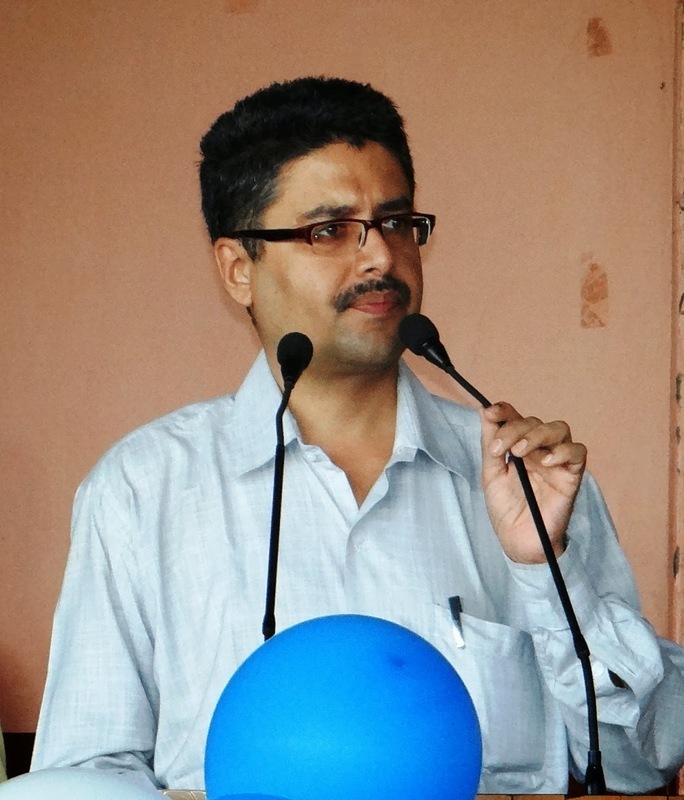 He will be shining in the heart of every student of VKV Majuli as an ideal person or as a principal for ever. 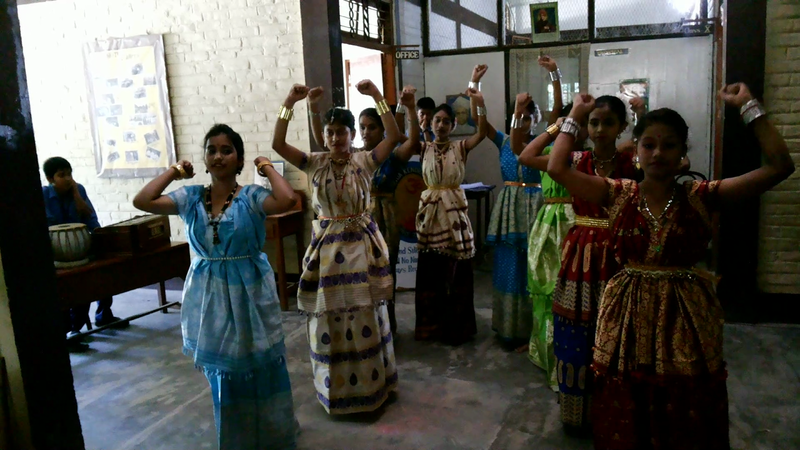 During the summer vacation (July 2012)vkv Majuli conducted a 'Speak English Programme' with its 43 students and 27 students from other schools. 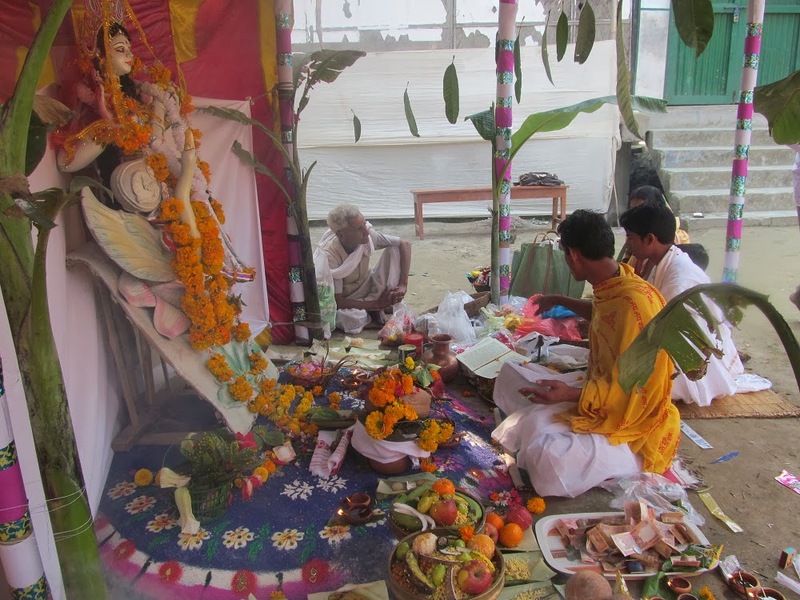 Matri Puja is organized in the vidyalaya for the students of class VIII in which the mothers are worshiped and prayed by children. Two Hindi exams were arranged by the vidyalaya for the students of class I to X in the month of June and October 2013. The respective exams were conducted by Mahatma Gandhi Rashtrabhasha Hindi Prachar Sanstha and Rashtrabhasa Vikash Parishad. National Cyber Olympiad (NCO), National Science Olympiad (NSO), International Maths Olympiad (IMO), were organized by Science Olympiad Foundation (SOF) in the month of November, December and January, 2013 -2014. A group of teachers from Pune, Maharashtra visited our vidyalaya (VKV MAJULI)to conduct carrier counseling classes to the students of class VIII, IX and X. Moreover, interaction session on PARENTING was organized for our Mother Parents. VKV Majuli has got the opportunity to organize the final round competition of the Social Science Exploratory Project 2013 . For the last two years Dr. J.K. Bajaj, Director, Centre for Policy Studies ,New Delhi has been guiding our teachers as well as students. and. In this programme 15 VKV’s from all over Assam including Nagaland were participated, and presented their power point presentation. Dr J.K. Bajaj, Director, Centre For Policy Studies, New Delhi and Prof. M.D. Srinivas, Centre For Policy Studies,Chennai were invited as guest in the programme. VKV Majuli has achieved both the proficiency and appreciation prizes as selected by the panel of Judges.